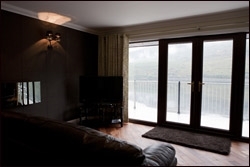 Ben Arthurs Luxury flat is situated above Ben Arthurs Bothy in the heart of the village of Arrochar and is perfectly placed at the edge of Loch Long . 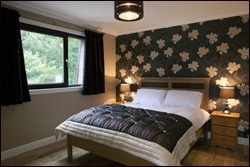 The Apartment is a perfect base being only a 45minute drive from Glasgow Airport, and a short drive from the Loch Lomond Golf Club ,the world famous Loch Fyne Oyster Bar and the "Rest and Be Thankful"which is the gateway to the North. Our Luxury flat comprises of four spacious double rooms: one of the double rooms has an adjoining twin room ideal for children. One of our rooms has a queen size bed and double en-suit shower The flat has been refurbished to a very high standard, beautifuly designed throughout. Stylish and modern a perfect haven for relaxation. 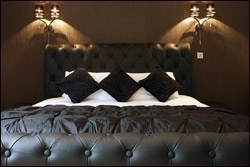 All Our rooms are all en-suite with showers, televisions with freesat channels. The living room has a dinning table, sofa and television. The Kitchen is spacious with a breakfast bar and all the equipment required for a self catering holiday a real home from home feel. Do read our reviews on TripAdvisor. Our balcony gives stunning views of Loch Long and the Arrochar Alps, which hosts the famous Ben Arthur more commonly known as the "Cobbler". The Cobbler and the surrounding mountains have been one of Scotland's major attractions since the 1890's and walkers and climbers return time after time to conquer their summits. The salt marsh around the Loch is rich in plant and bird life, such as Oystercatchers , Eider ducks and even the rare White tailed sea Eagles. Ben Arthurs Bothy bellow the apartment offers a warm welcome to all. We serve traditional Scottish pub food and drink daily. Enjoy a game of pool in the bar and watch the football. Or relax in the lounge or on the decking. Free wifi is also available. We are able to cater for private function or that special occasion. Live entertainment is played throughout the months from March to September details supplied on request. There are local amenities in the Village including a Post Office. If you prefer Balloch or Helensburgh , they are only a short 30 minute drive, where you will find plenty of shops for all your needs. There are of also plenty of Restaurants within the local area with a variety of choice . 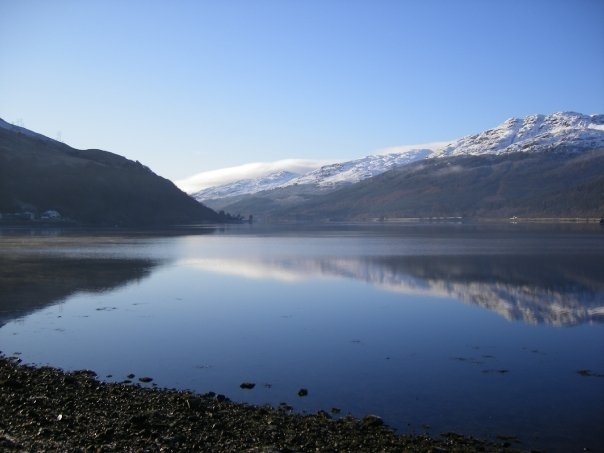 Arrochar has many activities to enjoy. Mountain climbing, hill walking in the many woodland trails within the National Park. Golfing, Water Skiing, Para Gliding, Loch Cruises, Sea Plane trips, Fishing and bike hire plenty to keep you busy. Loch Lomond Sea Life and Aquarium Centre is a short thirty minute drive away on the A82 west bound, within the grounds of Loch Lomond Shores. Inveraray along the east side of the Loch, has many attractions such as horse riding, Clay pigeon and not forgetting the famous Inverary Jail. If there is a particular activity or attraction you are interested in please detail your enquiry when making a booking, we will be only too happy to help.